This building was apparently built as a frame church. 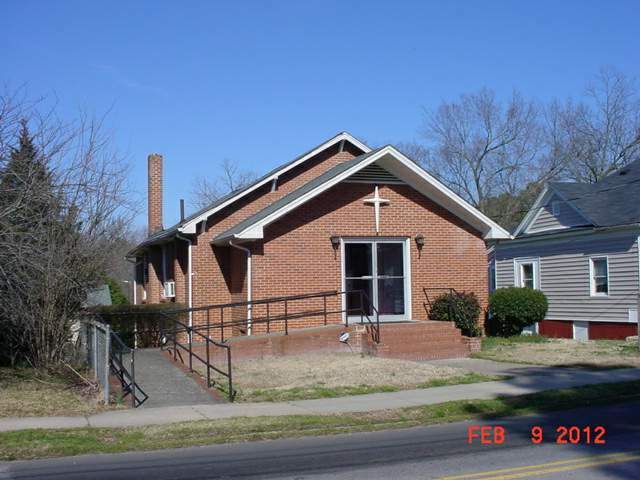 About 1975 it was brick veneered, and the front porch enclosed as a narthex, with double metal doors and a plastic cross on the facade. Otiginal 6-over-6 sash windows and eave brackets remain in place. 1935-1950 CDs: Church of Latter Day Saints. 1955 CD: Kingdom Hall of Jehovah's Witnesses. Current name: Christian Tabemacle.